Brand-verbing: Using brands as verbs. 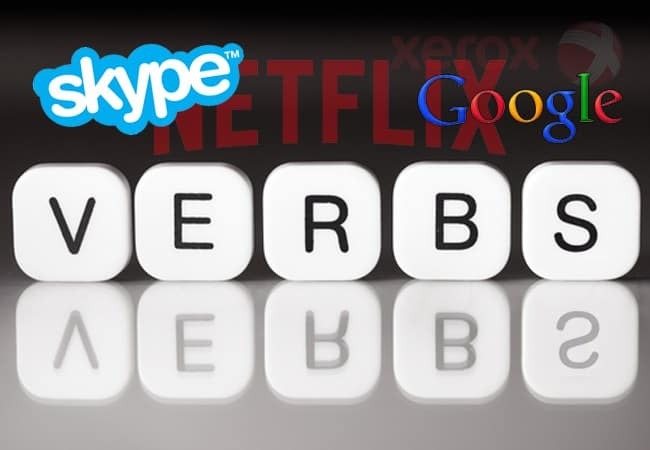 We Skype, Google, Xerox and Photoshop as verbs, and when your brand goes from noun to verb, that’s “brand-verbing,” and it’s also a sign that you’ve reached the big time. Brand loyalty is a combination of factors. Despite the huge selection available, modern consumers still feel loyalty to the brands that they are familiar with. In fact, research by IRI found that 44 percent of millennials consider themselves to be loyal to the brands that they purchase. Oftentimes, a brand name becomes a common term because of its ubiquitousness in every day life; other times because it is so new and useful that it disrupts the industry it springs from. Here’s a look at some of the brand-verbed titles that managed to become verbs and everyday terms, and the marketing power this transition creates. Oftentimes, when a business is the first to find widespread success and adoption of their service or product, they embed themselves in popular culture. For a brand like Netflix, this extends into an entire language surrounding the different forms of use for the product. We “Netflix binge,” watching season after season of a TV show in a brief period of time, thanks to how easy Netflix makes it. We “Netflix cheat,” secretly watching ahead in a show instead of waiting for our binge-buddy to catch up. Asking someone “how do you Netflix” is a way to start a conversation about their viewing habits that is quickly and easily understood. So prevalent is the idea of “Netflixing” that Dish Network’s The Dig even has a test to see what kind of Netflix binge-watcher you are. Chances are, you’ll recognize the archetypes. What does all this language add up to for Netflix? Free advertising in the form of word-of-mouth, peer pressure, and more. When Netflix first entered the entertainment rental industry, they quickly positioned themselves to provide a benchmark of convenience that crushed companies like Blockbuster. Perhaps the most well known modern example of brand verbing is “to Google.” Google’s popularity and dominance of the Internet search engine industry has changed the very language surrounding the act of looking for something on the Internet. Take for instance the trampoline – originally, this was a trademarked name owned by the Griswold-Nissen Trampoline & Tumbling Company, but “rebound tumbler” is such an unwieldy way to refer to the product that trampoline became a generic term. Like Band-Aid, the brand name was a simple and easy to remember way of referring to a product with a complicated name. After all, what consumer wants to say “adhesive medical strip” when you could simply say Band-Aid? Entrepreneur, family man and long-time magician, "Magic Man" Michael Pignataro is co-owner of 'corePHP' with his mirror-image twin brother, Steven. 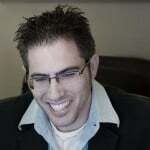 Michael is 'corePHP's Co-Chief Executive Officer - Operations. He's also got a wicked fast wrist at the foosball table. This entry was posted in Digital Marketing and tagged Brand-verbing, Branding, marketing on August 21, 2015 by Michael Pignataro.